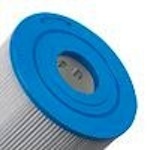 Aqua Spa provides pool and spa water purification products, including filters for filtration systems. Aqua Spa provides pool and spa water purification products, including filters for filtration systems. Here at Filters Fast, we offer items from Aqua Spa, along with many other brands.